I know this subject has been blogged about on here a few times already, but every once in a while I feel the need to re-share this information with clients and our readers just to educate or refresh in our minds what diversion is and why it is a bad thing. It is something I feel very strongly about as a stylist whose been in this industry for 15 years. Did you know that drugstores, grocery stores and big box stores get their products through illegal diversion and unknown sources?? Many products can be contaminated, diluted or counterfeited. The following are items found at your local drug store……. 1)Products that are $4 more than you can find them at your local salon. 2) Scratched off tracking codes to hide illegal selling of products to drugstores. 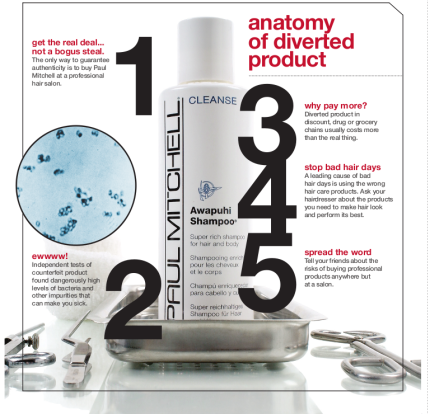 4) Products that are watered down, expired or even a totally different product in the same bottle. 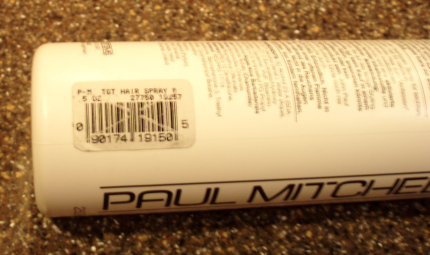 If you flip over a bottle of any professional hair product, you will see on the back somewhere that they say “Guaranteed only when sold In Professional Salons”. This alone proves that drugstores and big box stores selling these products is obviously wrong. 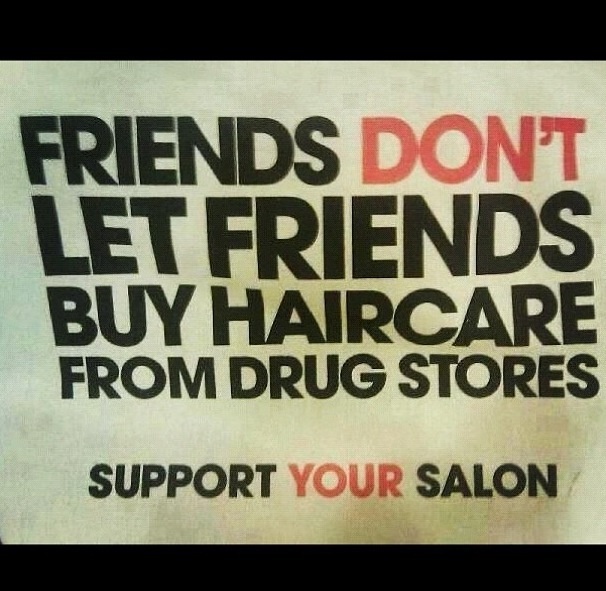 If you love your stylist and the salon you visit, support them and the industry the work in. Purchase your products straight from them so they can continue to educate you and other clients and provide you with excellent professional products customized to your hair needs!! SHARE this to get the word out!! !